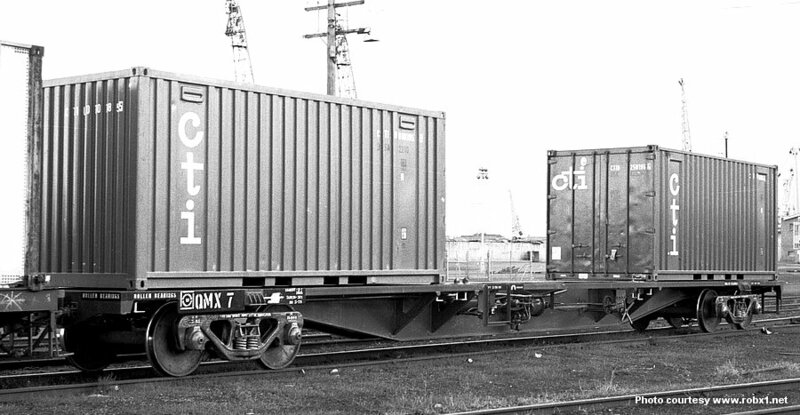 These containers wagons were a continuation of the basic design of the earlier VR FQX 63’ wagon, the exception being, they were built with a skeletal deck. 60 wagons were built in 1978, 1 – 40 at the VR Bendigo Workshops and 41 – 60 at the VR Newport Workshops. 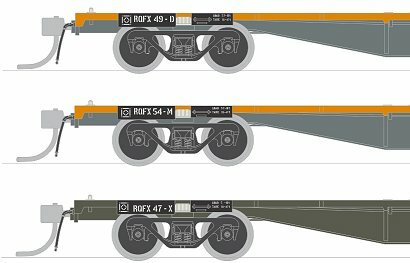 These were the last VR wagons to enter service prior to the adoption of the ROA 4 letter coding in 1979. 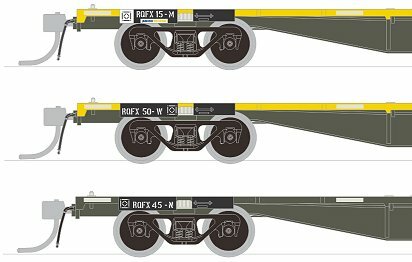 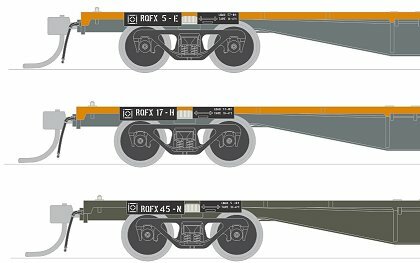 They were suitable for bogie exchange and later all went into the NRC pool in 1995, the majority were fitted with 2CM high speed bogies and became RQFY coded wagons.